Popular single layer designation in Germany. The name does not necessarily have a religious background, but can also refer to a good sun exposure (holy = bright). The name derives from a Christian shrine that once stood here. After a second version, there was a prehistoric place of worship here. The vineyards are easy to get to Rhine inclined towards. 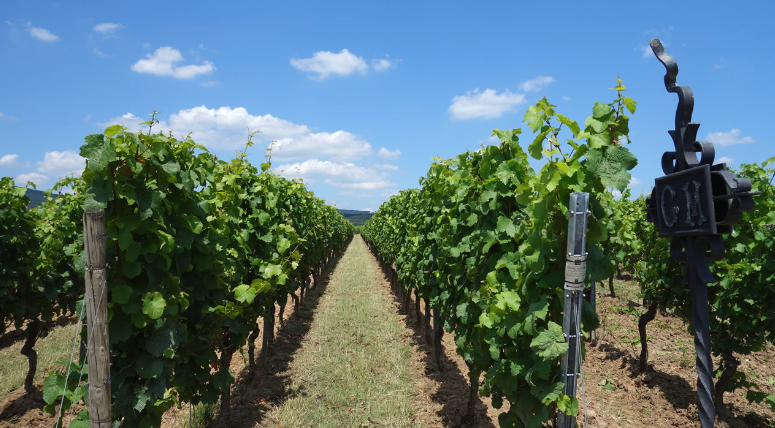 The soil consists of colored slate and deep loess clay with good Water storage capacity, Here is especially Riesling cultivated. Shares in the situation have for example the wineries Egert and Molitor Karl Johann. Other individual layers with the name Heiligenberg are also still in the communities or growing areas Heidelberg (Baden), Häfnerhaslach / Illingen / Schützingen (Württemberg), Krautheim / Klepsau (Baden), hamlet near Monzingen (near) and Zeilitzheim (Franconia). This page was last modified at 24 April 2018 at 20:01.